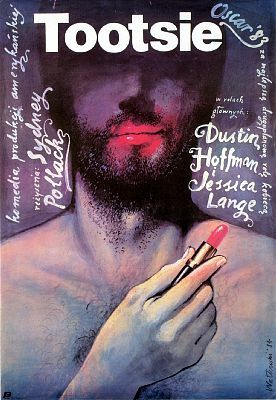 When I first discovered Polish Poster design some five or six years ago, I wasn’t sure that what I was seeing was to be believed. 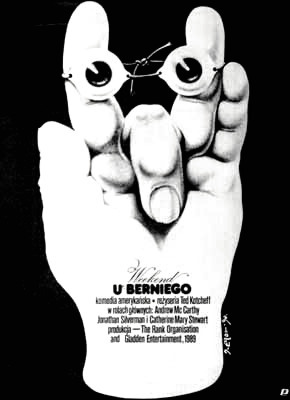 There’s a certain tendency to be skeptical of things you find on the Internet, and here was a collection of Polish Posters – most of which were menacing and ambiguous in equal measure – created to market movies as different as Blow-Up and Weekend at Bernie’s. Perhaps, in their time, these posters were nothing more than a minor curiosity, destined to be rediscovered by the Tumblr set. 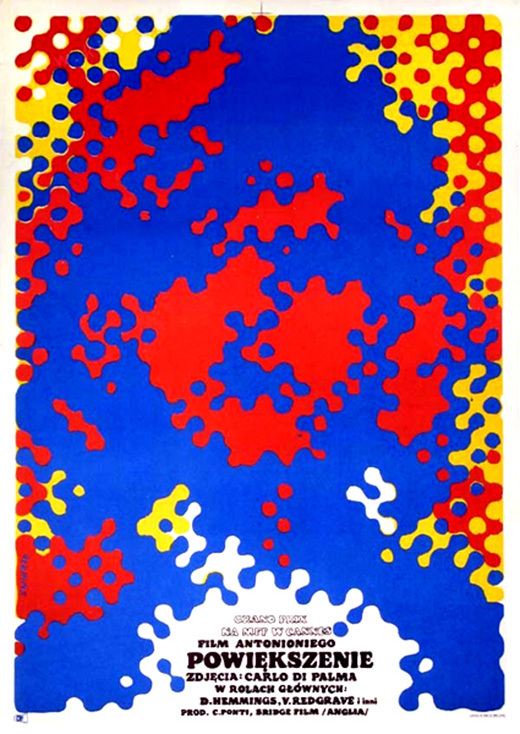 Actually, the Polish Poster movement represented one of the most important graphic design developments in the 20th Century, and in their hay day, these works were as visible as any poster created for a summer blockbuster today. So how did the Polish School of Poster come about? In 1945, Nazis destroyed most of Warsaw during their retreat, leaving nearly 80% of the city in ruin. The rebuilding effort resulted in fenced-in construction sites all over the city – in effect creating a city-wide gallery tailor made for hanging poster art. There was also a backlog of American and Foreign films waiting to be seen in Poland, all of which required accompanying promotional materials created in Polish. With virtually no Polish art market to speak of, artists turned to the only game in town, poster design. 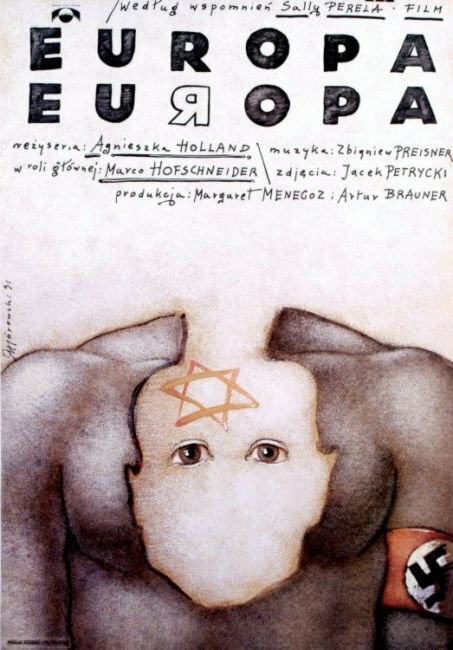 Below is a selection of Polish Film Posters, including a poster for Agnieszka Holland’s Europa Europa. We will welcome Holland to the DCJCC on November 30 for a screening of Europa Europa and a discussion with Aviva Kempner. 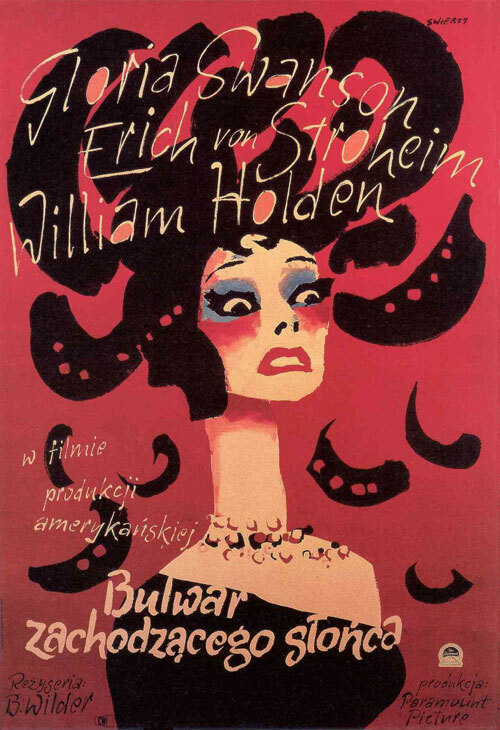 You can read more about Polish Poster Art at Adrian Curry’s Movie Poster of the Week blog, which informed much of this blog post. Most of the time in the WJFF film office we work really hard, producing furrowed brows and beads of sweat with every film program we put on. There are phone calls and emails and negotiations and usually one more phone call. But sometimes we don’t do anything at all and something great falls in our lap. Enter The Embassy of Israel and Yariv Mozer. The phone rang a week ago and The Embassy asked if we’d like to host filmmaker Yariv Mozer and his new film, The Invisible Men for free. The answer to this question was: YES. Within four hours everything was arranged and, with the immense support and cosponsorship of GLOE , we were scheduled to host an amazing FREE program. Simply put, Yariv’s films are fascinating and he speaks about his subjects with great insight. I’m right: sometimes something great just falls in your lap. Many thanks to the Embassy. I hope you can join us in welcoming Yariv Mozer Sunday October 14, 4pm. For information about the program and how to be a part of it click here. There are about 730 Samaritans remaining in the world today. LONE SAMARITAN offers a rare look at the community and its traditions while looking at the broader issues of identity and conflict and the cost of assimilation. Take a look at this beautiful scene from the film. Do We Need Black History Month? 36 years after Black History Week expanded to a month, Shukree Hassan Tilghman asks the provocative question, “Do we need Black History Month?” In his film, More Than a Month, Tilghman examines how Black History Month has evolved and brings into question how we teach history in this country. What is the role of Black history in the greater scope of American history? By designating a month, do we time-bound and limit the attention we give to Black history in America? Who does Black history belong to? This film offers a great opportunity to see how these interesting issues are being addressed within the African American community, and in the nation as a whole. More Than a Month will screen at the DCJCC on February 26 as part of our Community Cinema Café series in partnership with the Independent Television Service (ITVS) and PBS’s Independent Lens. Filed under: Arts, Film Trailers | Tagged: Black History Month, Community Cinema Cafe, Independent Lens, ITVS, More Than a Month, Shukree Hassan Tilghman, WJFF |	Comments Off on Do We Need Black History Month? From one film festival to the next! The Washington Jewish Film Festival was really special this year! Our wonderful audiences, filmmakers, sponsors…everyone came together to enjoy 11 days of some of the best independent film from all over the world. Check our website wjff.org for photos and information about our audience award winners. But we’re not satisfied resting on our past success (or getting too much sleep). Nope, not when we can be part of presenting another film festival just six weeks after the WJFF ended. So that’s what is happening on February 1 when we open the first ever DC-MD-VA ReelAbilities Disabilities Film Festival. Our regional festival is one of the first that is part of the roll out of the national ReelAbilities festival, happening for the fourth year in New York later in February. Our opening night film, Warrior Champions, profiles four Iraq War veterans who returned home with life-changing injuries that they strive to turn into Olympic dreams. These people are inspiring and will make you want to get up off the couch or leave your computer and go make the most of the body you have! The evening at the beautiful Avalon Theater starts at 6:30 with hors d’oeuvres followed at 7:30 by the film and a keynote speech by the very accomplished advocate for the disabled, Richard Bernstein, himself blind since birth and a marathon runner! Here is a trailer from the film. The festival runs until February 9, and I’m delighted to say it’s a joint effort on the part of our DCJCC along with the JCCs of Greater Washington and Northern Virginia. Together, we are bringing ReelAbilities excellent films, programs and discussions to your neighborhood, so check our schedule, film trailers and get tickets atgreaterdc.reelabilities.org. Some people have asked me what’s “Jewish” about the ReelAbilities festival. It’s true that only one film, Praying with Lior, has what we would call “Jewish content,” but for me, this festival really brings home both Jewish values and some of the best reasons why JCCs are valuable institutions. ReelAbilities is about inclusion for everyone in our regional community and promoting awareness and appreciation of the lives, stories and artistic expressions of people with different disabilities. It’s about providing opportunities for various communities to come together as one to explore, discuss and celebrate the diversity of our shared human experience. And, in the end, the truth is that these are really good films, too. So come to be entertained and to learn, communicate, share and feel good…just come and check out our first ReelAbilities Disabilities Film Festival. See you at the movies! Filed under: Arts, Film Trailers, Israel, Jewish Living, Uncategorized | Tagged: Praying With Lior, ReelAbilities Disabilities Film Festival, Warrior Champions, WJFF |	Comments Off on From one film festival to the next! The New York Times calls the film, “mesmerizingly recreated and explored” in a way that “even those already familiar with this piece of history are likely to find unsettling.” Set against the backdrop of an American South struggling to shed its legacy of bigotry and xenophobia, the film is both a first-rate murder mystery and an insightful look at racial, religious, regional and class prejudices in the early years of the 20th century. Starring Will Janowitz (The Sopranos) and Seth Gilliam (The Wire). October 18 at 7:30 at the Washington DCJCC. More information here.